The Magic Man brings his unique brand of Children’s and Family Magical Entertainment to events just like yours! – With lots of Comedy Magic, Funny Puppets, Ventriloquism, Balloons, Music, Games, laughter, fun and excitement for all your guests. Whatever the Occasion – Magic is the Perfect Family Entertainment! As a party magician John’s Magic is absolutely unique and guaranteed to bring laughter and gasps of amazement from everyone at your event. Whether you have a large crowd, a small relaxed group, or anything in between, with years of experience, going back to the days when he was a ‘Red-coat’ at Butlin’s in Mosney’ – John, The Magic Man will add the “Wow factor” to your next celebration. The Magic Man has different shows for different age groups and occasions. What works for some ages will not work for others. Therefore, based on the occasion and age-mix of those attending, John creates unforgettable magical memories for young and old alike. The Combination Magic Show is a favourite format for family gatherings. As the name suggests, this performance has something for everyone. Strolling from group to group, as a party entertainer, John will perform some unbelievable ‘Close-up Sleight of Hand’ Magic and ‘Mind-reading’ for the adult guests, right before their eyes, which the children will also enjoy – followed by his Children’s Magic Show which is suitable for children of all ages and adults too! No other form of entertainment ‘breaks the ice’ like magic and brings everyone together in laughter and conversation, guaranteeing them such an enjoyable and memorable experience long after the party’s over. Magic is loved by everyone and is without doubt, the perfect entertainment choice for any family or social occasion. 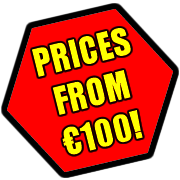 Should you wish to make a booking or require more information, telephone John on 087 257 0705 or click ‘contact & enquiry’ at the top of this page to send an email. We used The Magic Man for Dublin Zoo’s Breakfast with Santa event throughout December 2010. From the beginning John was a joy to work with. His dedication to the task at hand was unquestionable which was evident when he didn’t miss a single appearance despite battle through Ireland’s recent Arctic conditions. Each and every child (and the parents) thoroughly enjoyed The Magic Man show. 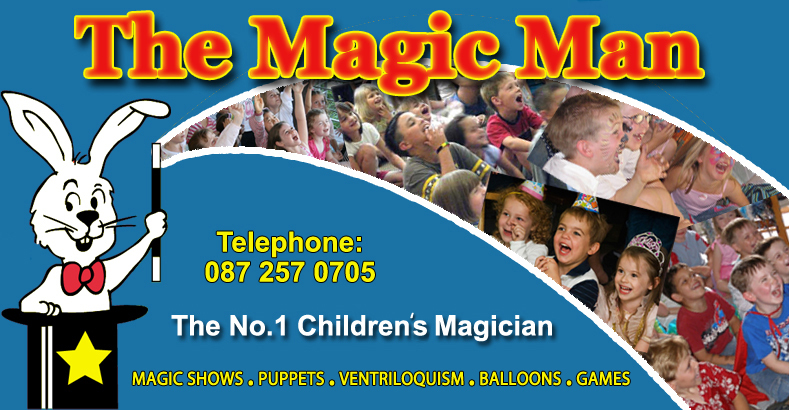 We have no doubt that we will use The Magic Man again at events in Dublin Zoo. 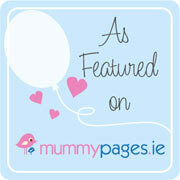 — Aoife Keegan, Marketing & Events Executive., Dublin Zoo. Leigh - Mickey Finn's Pub, Redcross, Co. Wicklow.